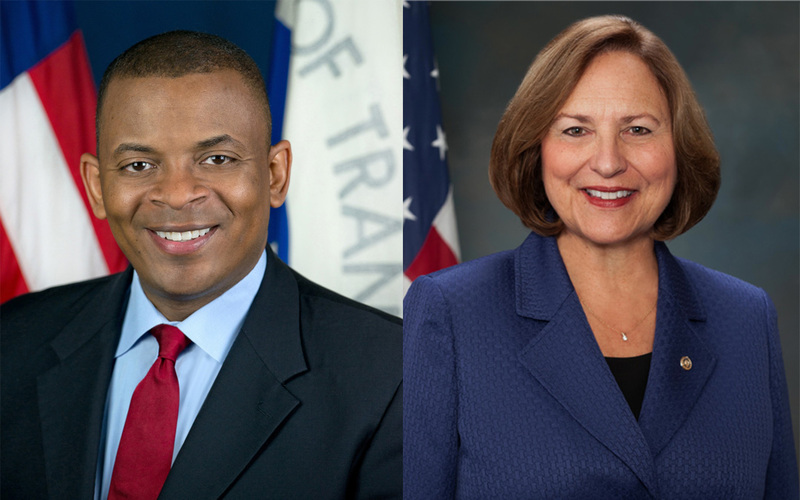 U.S. Transportation Secretary Anthony Foxx and Nebraska’s senior senator Deb Fischer (R) toured the Cornhusker State together Aug. 11 to urge Congress to pass a long-term surface transportation funding bill. The duo also co-wrote an op-ed published in the Lincoln Journal-Star and on the U.S. DOT’s Fast Lane Blog. Foxx, a Democrat, remains optimistic about a long-term bill, despite the three-month extension passed by the Republican-controlled Congress before the August recess, according to press reports. The Senate also passed a six-year bill, and House leaders have promised to consider long-term legislation when they return from the summer break. “I think we’ve got a moment here where something bigger can happen,” Foxx said during a round-table discussion in Lincoln, the state’s capital. Foxx and Fischer also visited the future site of Nebraska’s first diverging diamond interchange, part of an Interstate 80 widening project. Hawkins Construction Company of Omaha, an ARTBA member firm, won the $36 million contract for the work, according to local news.